We dedicate this newsletter to the spirit of Anita Roddick for her dedication to the Angola 3 struggle for freedom and to her family who stayed the course through the darkest hours. 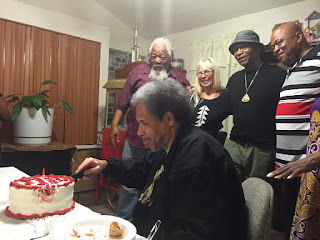 To the many Angola 3 supporters that have stood by us in the past several decades as we fought for the freedom of Robert King, Herman Wallace and Albert Woodfox, and against the torture that is solitary confinement, we are more grateful than words can express. It has been a long journey and there have been many milestones along the way. Movies have been made, books have been written, institutions and non-profit organizations have joined the struggle, legal assistance has ebbed and waned, but throughout, the coalition and its supporters have never stopped taking action to change the state of solitary confinement and freedom for Albert. Last Friday, on February 19th 2016 those actions culminated in Albert’s freedom. Albert is absolutely, 100% free! Below is just some of the remarkable media coverage that is circulating the globe. 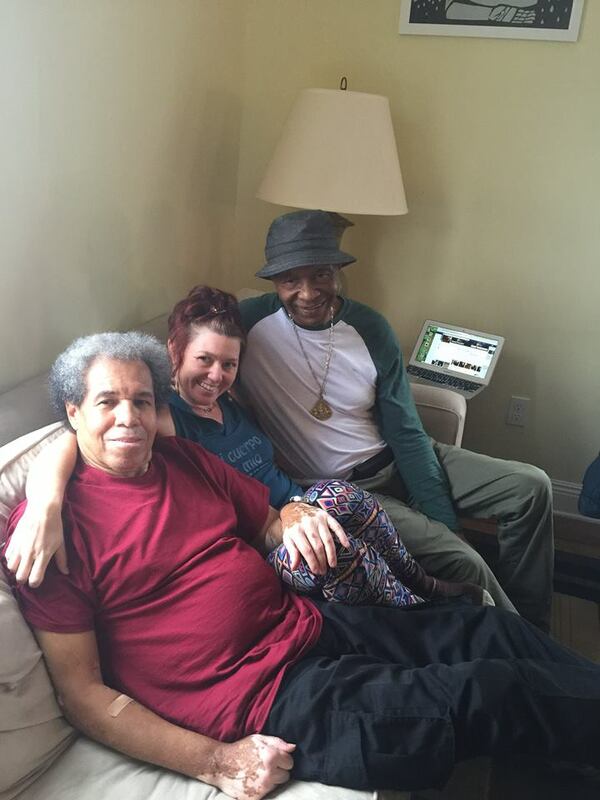 As we celebrate that ALL THE ANGOLA 3 ARE FREE please join us in laying the foundation for Albert’s new life. We’ll never be able to make up for over four decades in solitary but those of us in minimum security know how costly life out here is. 100% of all donations will be given directly to Albert. Since his release last Friday, hundreds of articles have been written about Albert. Listed below are just a few of the most notable ones. Albert was interviewed directly by four newspapers and the Democracy Now! television / radio show. Now on Saturday morning, he was sitting in a hotel suite alongside one of his brothers and members of the legal team that had worked for years for his release. He was calm, composed, steady as a surgeon, but one imagines that survival would have been impossible without this sort of disposition. The Louisiana State Penitentiary, the 18,000-acre prison in an elbow of the Mississippi River, is known familiarly as Angola. This was the name for the cotton plantation that once occupied the same grounds, itself named for the part of Africa where the plantation’s slaves had come from. It is the largest maximum-security prison in the country, and in the early 1970s it was possibly the bloodiest. “Almost every day, somewhere in the prison, somebody was getting stabbed or killed or beat with an iron pipe,” Mr. Woodfox recalled. 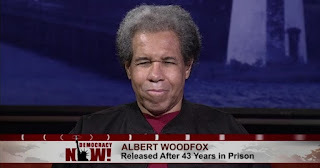 In his first interview since being released from West Feliciana parish detention center in Louisiana, Woodfox told the Guardian that in 1972, when he was put into “closed cell restriction”, or CCR, he made a conscious decision that he would survive. 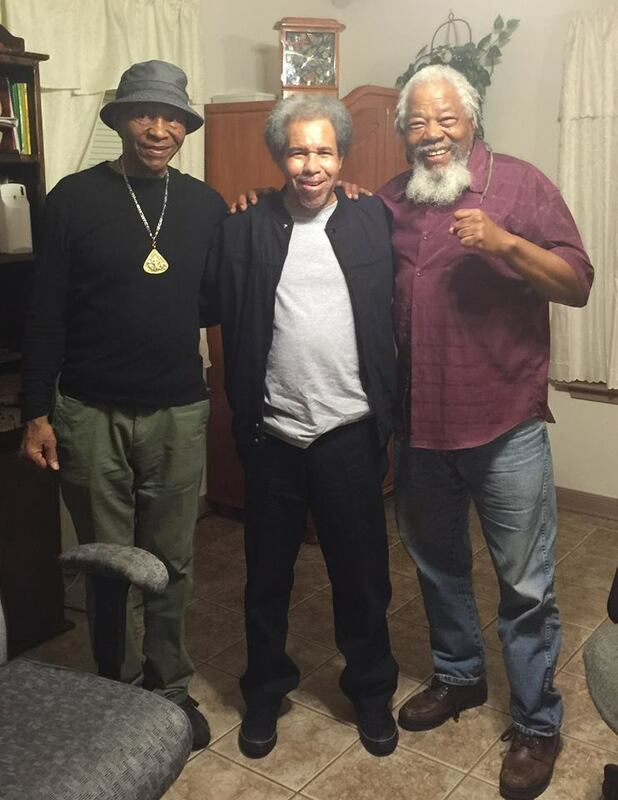 He and his comrades from the so-called Angola 3, Herman Wallace and Robert King, made a vow to be strong. The key, he said, was to stay connected to what was happening in the outside world. 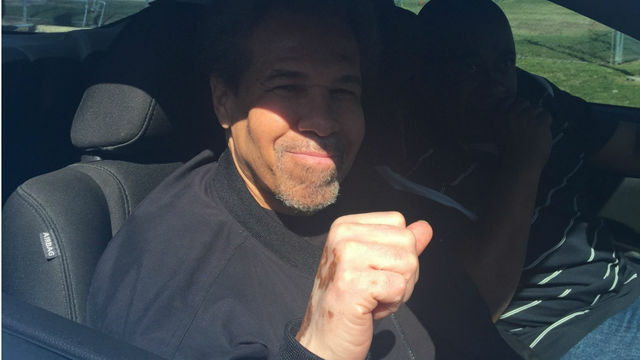 For the first time in nearly half a century, Albert Woodfox was allowed to sit up front. The 69-year-old member of the Angola 3, who was released Friday after spending most of his life in solitary confinement, said one of his first impressions of the world outside prison was having a wide, front-seat view of the landscape as his brother drove him away from jail. 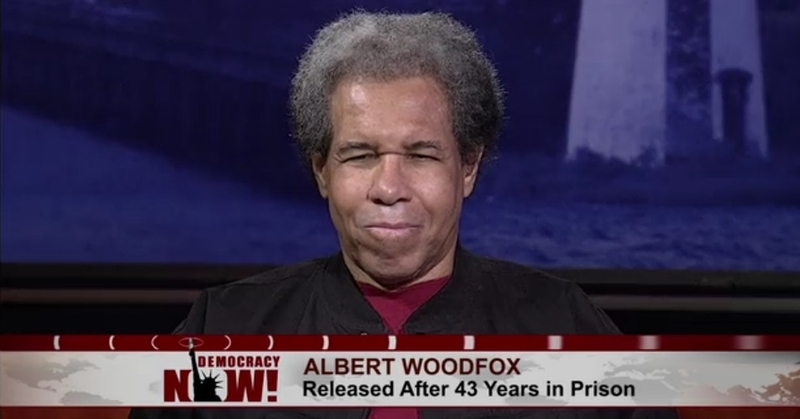 …Woodfox said he plans to start a community-based organization to aid people recently released from prison and to persuade lawmakers to move forward with progressive prison reform. And he also hopes to correct the picture that’s been made of him as violent troublemaker. He claims he went almost 20 years without a disciplinary write-up. “I’m not the monster that I was portrayed to be,” he said. Woodfox sat mostly still Saturday, sometimes raising a hand to make a point or touch his face. His brother, Michel Mable, had warned Woodfox was feeling overwhelmed. But Woodfox’s voice was steady. He’s lost his composure only one time since walking out of jail Friday, Woodfox said. It was when he hugged his daughter for the first time. “That was something,” he said, tucking his head into both his fists. Adjusting to the outside may take some time, he said, but he’s doing OK. He recognizes the streets of New Orleans, but the roadway seems narrower as buildings he doesn’t recognize have popped up. Woodfox’s daughter, with whom he has only recently started to build a relationship, cooked his requested meal: cream corn, prepared the way his late mother used to make it, with rice and smoked sausage. This entry was posted on Saturday, February 27th, 2016 at 6:16 pm	and is filed under Other Articles. You can follow any responses to this entry through the RSS 2.0 feed. Responses are currently closed, but you can trackback from your own site.